Blog Q. What bariatric surgeries are covered by insurance in Fort Myers and Naples, FL? Do you have bariatric surgery coverage with your insurance? Most insurance companies including Medicare and Medicaid will cover gastric sleeve, gastric bypass and other bariatric and general surgeries. Please keep in mind that while most insurances offer some sort of weight loss surgery coverage, your individual policy will include details of what is covered and what is not. Some policies exclude weight loss surgery all together. At Surgical Healing Arts Center in Fort Myers and Naples, Florida we will search through your entire insurance plan and also call to verify your bariatric coverage. In most cases we can contact the individual insurance provider and ask specifically about coverage for a particular procedure. 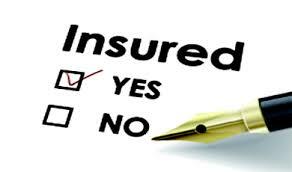 Once we find out what your insurance will cover we can then design a plan to complete. In most cases your insurance will require a few weight management visits that are done her at the center. We will help you keep track of all of the insurance and surgeon requirements to get you successfully to your bariatric surgery and beyond. It’s imperative to have a detailed pathway and authorization system to get to 100% success.